Red flags is an understatement. Shenanigans seems like a vast understatement. Have you ever seen a more meteoric drop in price? Then see it jump up in price after not selling? 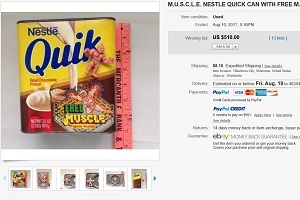 1st Auction – Fake Quik Tube? If I honestly believed I had ANYTHING worth $600, then I would never drop the price nearly 74% ($160) in only a few weeks. That idea is crazier than starting the price at $600. 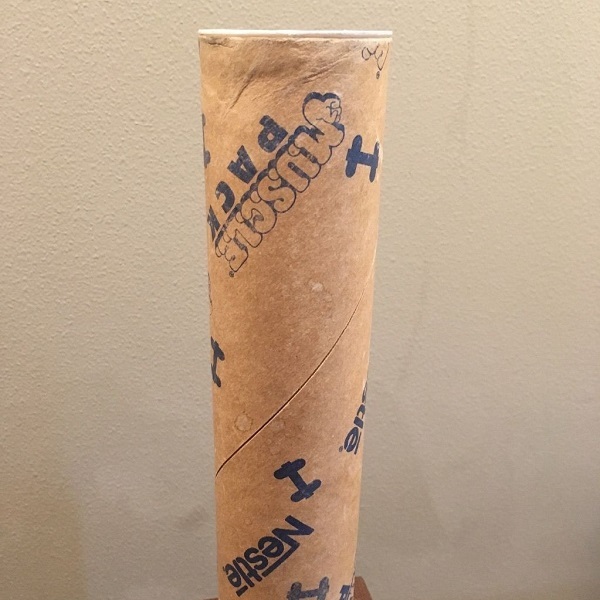 Unless…something strange was going on…like trying to sell a fake tube for the most money possible? If I was willing to drop the price 74%, then why wouldn’t I just set-up an auction? If I’m admitting I’m clueless (or desperate to sell), then start the auction at $20 and see what happens. It is even more crazy to raise the price after continually dropping the price. I know it sounds paranoid and crazy, but it also seems like the most rationale explanation for an completely insane situation. It’s basically made my silly joke come true. I can’t be the only one that feels something is off. Maybe it isn’t shenanigans, but the red flags are keeping people away. When M.U.S.C.L.E. collectors see something they want, and don’t have major concerns, then they will pay for it. Did you see the Quik tin that sold for $510? 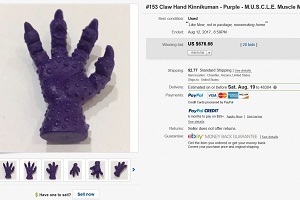 Hell, even the Purple #153 that sold for $676.66 is a great example. Although, I did have a personal red flag on this auction – since it has nothing but very circumstantial I won’t share it. 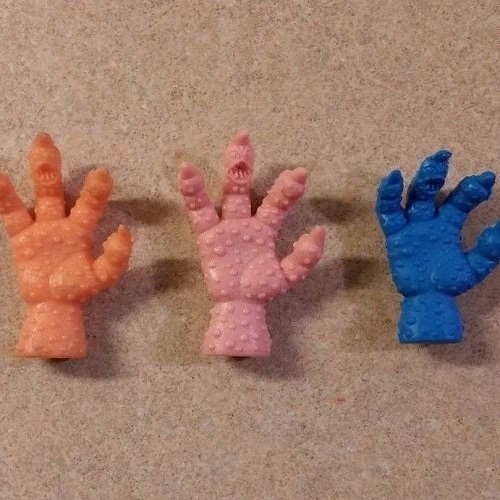 The second auction, Lot of 3 CLAW M.U.S.C.L.E. 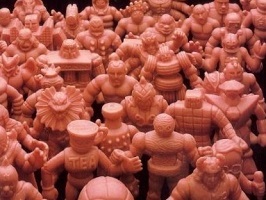 Men Color Kinnikuman Figure Toy Muscle Orange Blue, left me very shocked. I would have been shocked if these three figures received any bids with a $39.99 opening bid price. However, as of writing, this auction already has two bids and a $41 current price. That’s the blessing and curse of M.U.S.C.L.E. prices. M.U.S.C.L.E. collectors aren’t apologetic about spending money on good stuff. As one of the craziest M.U.S.C.L.E. 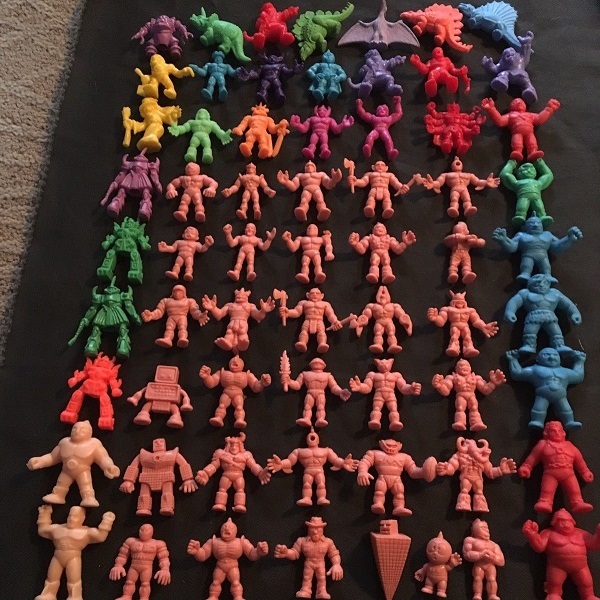 collectors I can admit the vast majority of M.U.S.C.L.E. stuff isn’t “good.” That might be a bit simplistic, but I would argue that there are, at most, two handfuls of items that deserve a premium price. The curse of premium M.U.S.C.L.E. prices is exemplified by most of the other M.U.S.C.L.E. prices on eBay. The third auction, #15 015 Wall Sunshine Kinnikuman – Dark Blue M.U.S.C.L.E. 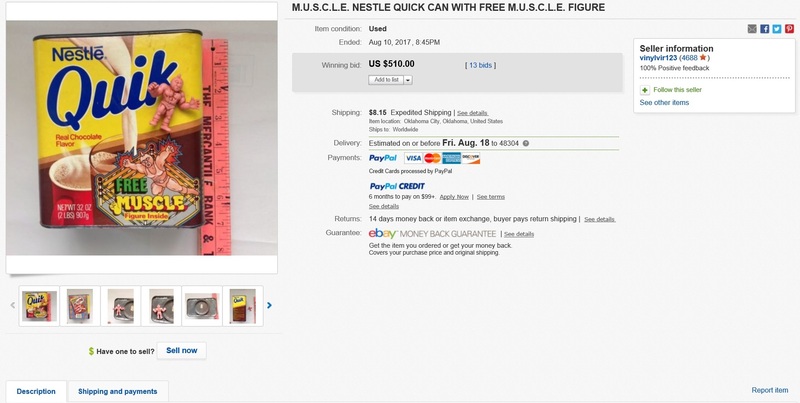 Muscle Men Things, is a classic example of “the curse.” The #15 figure has an opening bid of $21. This is the curse of the great M.U.S.C.L.E. stuff selling for a premium price; a regular figure priced light-years away from a reasonable price. That doesn’t make it valuable. People are misusing the bird guide. And do you know who is really hurt by a $21 figure? It hurts the good sellers that try to be the cheapest on eBay. The fourth auction, Lot of 60+ Vintage M.U.S.C.L.E., MIMP, and Diener Figures, is a lot that makes me very happy and very sad. Let’s start with the parts that make me very happy. I love mixed lots. When I was at the height of my collecting I didn’t enjoy them as much. I should have; they have largely gone away today. I imagine it’s because information about minifigures is so much more accessible. For example, MUSCLEMANIA figures didn’t even have a name until July of 2008. And the MUSCLEMANIA figures are my absolute favorite part of the lot. Plus you get a nice mix of sculpts and colors. There are two parts that make me sad. They are two intertwined parts, but I see them as separate things. First, there is the price. It has a $40 BIN. As a M.U.S.C.L.E. and MUSCLEMANIA collector I would never pay that amount for those figures. Maybe the MIMP figures are priceless, but that doesn’t matter to me. I know as a M.U.S.C.L.E. and MUSCLEMANIA collector I’m not paying anything close to that amount. The shipping is absolutely absurd too. That point leads directly into the next. 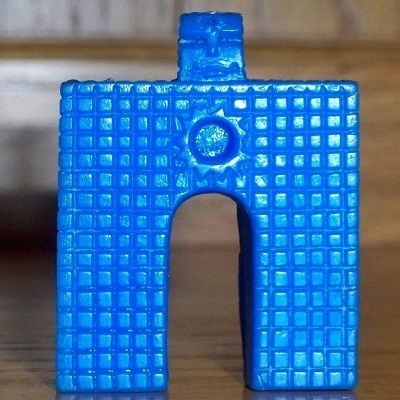 I feel a bit sad because I imagine those figures as trapped. I imagine they will never find a collector; never find a home. Sure it is melodramatic and sappy, but that’s my gut reaction. And that’s the final part that makes me happy. I think that melodramatic sappiness reminds me all of these are toys. It reminds me to only have fun. There’s so much terrible stuff in the world; I want to make sure I don’t make this terrible too. This entry was posted on Tuesday, August 15th, 2017 and is filed under Auction Watch, UofM News. You can follow any responses to this entry through RSS 2.0. You can skip to the end and leave a response. Pinging is currently not allowed. Ironically enough, the lot that you didn’t think would ever sell, or be in a collection, has sold. For an entry level collector, that was a gorgeous lot, and honestly, the price wasn’t horrible, just not practical for anyone BUT an entry level collector. I’m sure whoever scooped it up is excited at the prospect of getting it. I know I would have been thrilled to find a lot like that when I first started out.